U.S. regulators are in the early stages of an antitrust probe into whether Google Inc, the top player in web display advertising, breaks antitrust law in the way that it handles some ad sales. It is unlikely that the Federal Trade Commission has sent out civil investigative demands in relation to the probe, which would be the sign of a formal and more serious investigation. The new line of inquiry focuses on tools acquired when Google bought display ad company Doubleclick in 2007; other firms which specialize in helping web publishers sell ads to put on their websites are complaining to the FTC. Google has not been notified of any antitrust investigation so far. 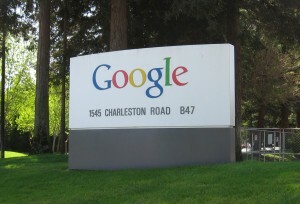 Google and the Federal Trade Commission declined comment on the matter. The FTC wrapped up its earlier investigation into Google just four months ago, concluding that the search giant had not manipulated its Web search results to hurt rivals. Google was the number one player in the $15 billion U.S. display ad market in 2012, with 15.1 percent market share, compared to Facebook’s 14.6 percent share, according to industry research firm eMarketer. Google is expected to widen its lead to 20.7 percent of the market in 2014. Google is currently trying to convince European antitrust investigators to wrap up a separate antitrust probe, and has offered to change some search pages to give more space to rivals in order to satisfy their concerns. In that case, Google is accused of hiding links to rival shopping, travel and other websites to protect its ad revenues. On April 11, it said it would offer consumers links to three rival sites in some searches and would label its products.